Welcome to Symi, the Dodecanese Island boasts aristocratic finesse. As the ship approaches the Gialos, the harbor of the island, a dreamy image as a living painting fills your eyes. 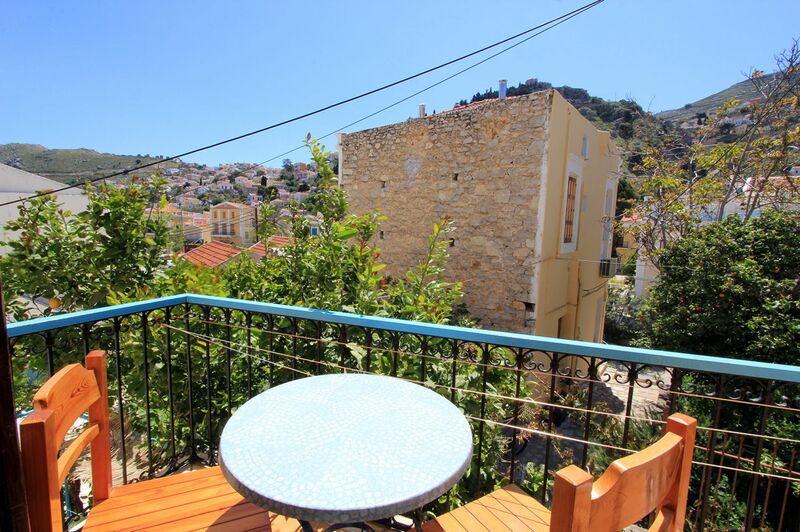 The traditional settlement with stately neoclassical mansions, justifies choosing to visit the beautiful Symi. 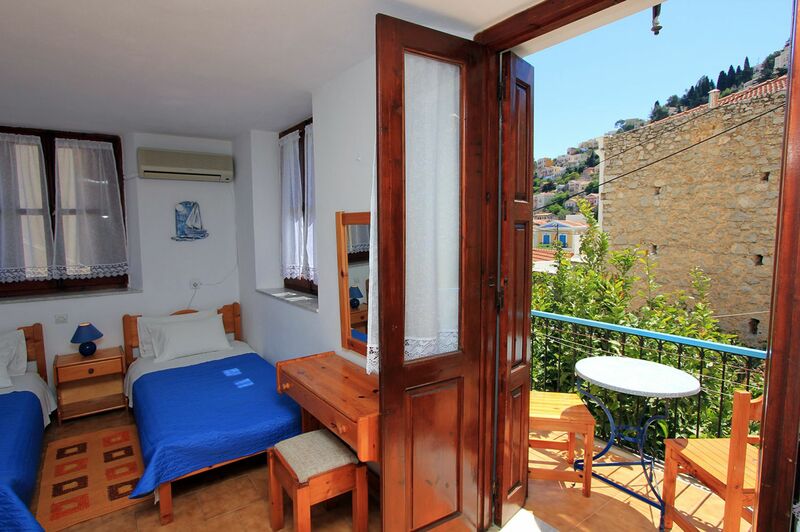 Nearby, in the central square of Gialos, we expect to welcome you to our traditional accommodation The Symi Center and offer you a memorable stay experience. 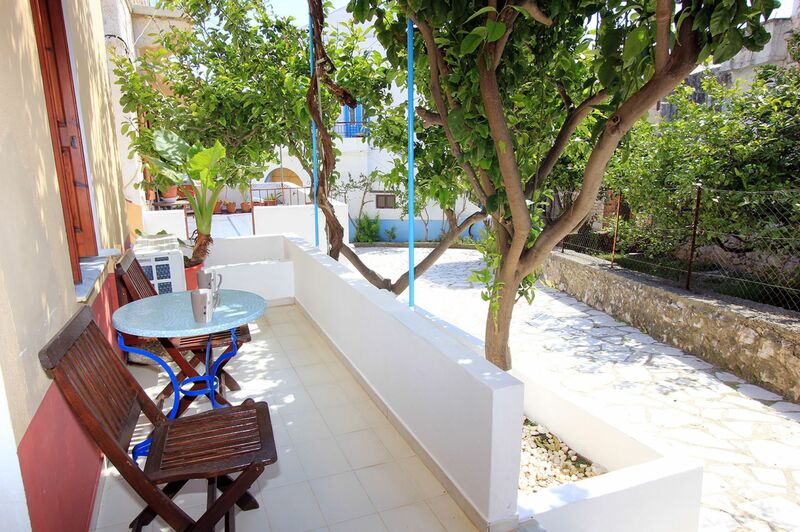 The hotel The Symi Center is ideally located in the city center. It offers quiet accommodation in a building elegant, simple and elegant that it blends with its surroundings. So you can combine the tranquility that provides you with a stay at our hotel, with the chance to explore the island and the acquaintance with the secular movement of the shopping center, entertainment and all the activities that take place daily in Simi. 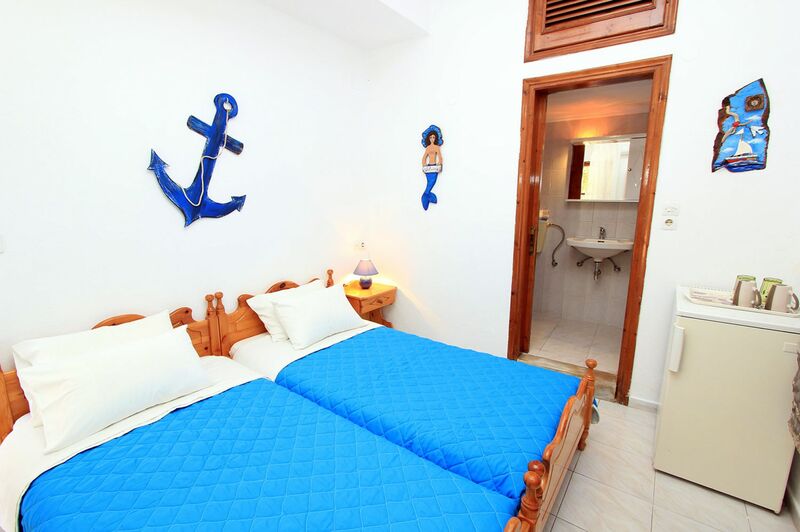 The Symi Center housed in a two storey building of traditional Dodecanese architecture, recently renovated, in order to offer its guests all the necessary amenities. Like all buildings preserved settlement, so our hotel is painted externally in earthy colors. Our hotel has 6 double rooms equipped with all amenities to ensure a comfortable accommodation and 2 communal kitchens available to our guests who wish to prepare their meals. The interior design is distinguished by its elegance and romantic mood, while the best of impressions earn marine paintings that adorn the walls of the rooms. 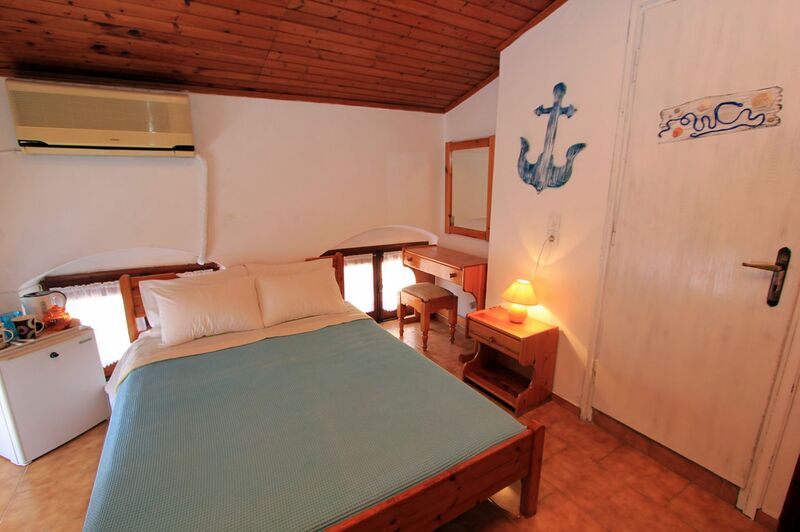 The owners of The Symi Center welcome the guests with friendly attitude, aiming at creating the best conditions for both accommodation and your acquaintance with the island offering you the best places worth seeing. We invite you to the hotel The Symi Center to discover Symi and live your best holidays in the mansion island of the Dodecanese!